Today’s convertible-top equipped cars are a far cry from previous decades. The fit and finish, noise reduction and quality of materials can almost make occupants feel as though they are riding in a standard sedan. The Audi TT is one of the leaders in top fit and technology from the factory and the Auto Tops Direct replacement top holds true to that OEM level of fit and finish. From the factory, the Audi TT convertible top utilizes Haartz Twillfast RPC canvas cloth for top construction. The same material allows this replacement top to mimic factory specs, with enhanced noise reduction and the quality that installers come to expect with the Haartz brand of materials. Haartz canvas products are a very desirable upgrade from lesser sailcloth vinyls used in economy convertible tops. It’s not just the top materials that make this replacement top shine above the competitors. The green-tint heated rear curtain goes above and beyond standard specifications. All threading matches the cloth color and is stitched with the finest bonded polyester threads. The canvas features a fine dobby weave lining. On average, heat bonded rear windows begin to pull and loosen anywhere from five to eight years of use, allowing leaks and window collapse. With the Audi TT convertible top, the DOT compliant heated glass window is bonded with a special patented technology for a clean look with a long, durable life. Auto Tops Direct features a lifetime warranty on a state of the art heat bonding process, ensuring trouble-free service for the life of the top. On older convertibles, chalk marks and installers eyeballing the fit determined how tight a top went on. 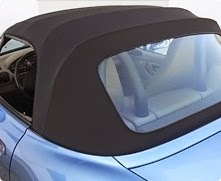 With the more precise fit and geometries of today’s convertible market, the top construction and design must be very accurate from the manufacturer, with specific mounting points and edging sewn into the top during the build process. The computer-cut panels and heat bonded seams of the Audi Twillfast top ensures accurate, tight installation and years of solid use. 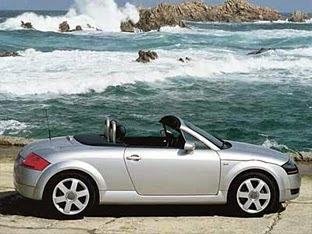 The Audi TT is a preeminent automobile that deserves a top notch convertible top. If you’re looking to get your Audi TT back to mint condition, choose the Audi TT convertible top with Twillfast RPC today! Not all windows for convertible tops are created equal. Because of this, window separation or leaking are some of the most common reasons for convertible top failure. However, they need not be! Here’s everything you need to know about window bonding and convertible top options. Traditionally, soft convertible tops come either with a rear plastic window or a glass window. These windows are attached to a pre-cut hole in a cloth or vinyl cover. In the past, the only method for adhering these windows was to either stitch them in or glue them in, which leaves visible evidence on the exterior. However, when a convertible top is fully in place over the vehicle, this creates tension around the window, which can wear out seams and cause the glue to become unstuck. Neglectful care and shrinking over time also aggravates tension around the windows. The end result? Windows became unstuck and difficult to reattach. A glue or double sided tape hack can temporarily fix windows, but many convertible owners just find themselves completely replacing covers. With modern tops, most manufacturers found workarounds to hide unsightly glues, seams and imperfections. Some manufacturers use a special piping and others use a fabric flap. However, these additions still don’t fix the separation issues that often plague glass window convertible tops. But there is one replacement top maker that managed to find a way to adhere windows so securely that they offer a lifetime guarantee. Sierra Tops uses a special patented technology that uses a steel ring to hold a glass window in place without a bulging exterior or other unsightly cover ups. It’s completely hidden in the installation by wrapping the fabric around the ring that adheres to the glass, offering a clean OEM appearance. Sierra Tops worked with the adhesive engineering experts at 3M to craft their special window installation. Together, they came up with a powder coated steel ring to ensure a perfect fit for the window into special computer-cut notches in the convertible tops’ fabric or canvas. This ring not only works to help hold the window in place with the fabric regardless of expansion and contractions caused by environmental temperature fluctuations and other conditions, but it also is crafted to prevent any electrical interference with the tops’ running wire system. In addition to creating this revolutionary ring for adhesion, Sierra Tops engineered another groundbreaking technology. Since not all tops are the same shape and size depending on vehicle make and model, Sierra Tops had to find a way to create a streamlined manufacturing process. They came up with a patented, unique computer-powered tooling system to make sure the ring and window would align perfectly every time, giving their tops not only a lifetime guarantee on their window bonds, but a perfect fit guarantee to their convertible tops as well. All Sierra Tops come with glass windows using this latest technology, which allows them to look great, while withstanding extreme tension and all temperatures. Sierra is one of the only manufacturers to find a way to prevent separation and leaking, prolonging the life of all convertible tops. At Auto Tops Direct, we proudly ship Sierra Tops for a wide variety of convertibles, offering a lifetime guarantee on the convertible window bond. Try this new technology today!